We’ve been quiet online recently and with good reason. Conjoint have been fortunate to have won some high profile contracts with some of Western Australia’s biggest companies. 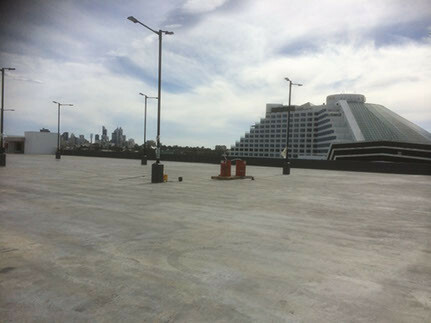 Most recently we completed 42,000 square metres of concrete floor sealing at the new Burswood Casino multi-storey carpark. Throughout the project we used a product called Rokite by Cementaid. Rokite contains a unique blend of toughened plastic and rubber resins to eliminate dusting and seal a range of surfaces. Its also resistant to staining and corrosion from a range of oils, grease, fats, lubricants, sugars, lactic acids, soft drinks, mildly acidic or caustic solutions. It leaves a very tough, durable surface that is capable of handling all types of traffic. If live in Perth and you’re interested in learning more about our concrete sealing solutions please don’t hesitate to contact us.